Looking for a Used QX56 in your area? CarGurus has 1,235 nationwide QX56 listings starting at $4,200. They say beauty is in the eye of the beholder, and perhaps that’s the case with Infiniti's QX56, its top-of-the-line luxury large SUV. Trouble is, you may have a hard time finding anyone outside of Infiniti's design team to agree with you. Most reports agree that on the outside it is unconventional-looking at best, and flat-out ugly at worst. But this is a monster, and monsters are often not so appealing on the outside—it’s what its guts are made of that counts. The car comes in essentially 2 trim levels: Base and 4WD. Both are equipped with a massive 5.6-liter 32-valve V8 with 400 hp, 413 lb-ft of torque and a 7-speed manual transmission (with rear-wheel drive in the Base). 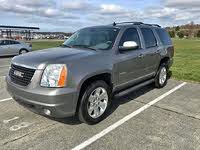 Standard for both are 20-inch alloy wheels, with 22-inchers as an option; this beast can tow up to 8,500 pounds. And sometimes, even though they are big, ugly brutes, they are softies inside—the QX56 is no exception. The luxury interior is stylish and functional. And exceptionally roomy. Three rows of comfortable captain's-chair-type seats are designed to hold up to 7 adults; with the split-bench option for the second row, you can squeeze in an additional body, totaling 8. All 3 rows are surprisingly accessible, although shorter people may need a hand up to get inside. The cockpit feels commanding, and offers plenty of pickup and power—that, of course, is its saving grace. The QX56 has been clocked at 0 to 60 in a respectable 6.3 seconds. But it is thirsty: It gets an estimated 14 mpg city/20 highway, which is better than last year, but still not great. Packaged options include the Deluxe Touring, which has climate-controlled front seats and a Bose surround system with 15 speakers, and the Theater, which adds a couple of 7-inch color monitors and wireless headphones for your rear-seat passengers to enjoy something other than the scenery. The other package is the Technology, which adds a ton of high-tech safety features such as lane departure warning, blind-spot warning and intelligent brake assist with forward collision warning. These sensors are not infallible and have been known to give false alarms; sometimes there’s a difference between safe and overbearing. The QX comes standard with Infiniti’s advanced airbag system, which adjusts inflation basing on severity of impact. All three rows have roof-mounted side-impact supplemental airbags. Also featured is a program called Snug Kids, which evaluated hundreds of child seat restraints to find the best fit for each model; a list is available online. Braking is never a problem with brake assist, 4-wheel antilock brakes and electronic brakeforce distribution. So before you get out the torches and run the beast out of town, you might want to consider that the 2012 Infiniti QX56 may just have a heart of gold. 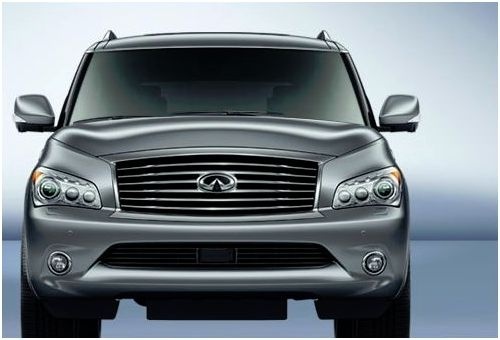 What's your take on the 2012 INFINITI QX56? Users ranked 2012 INFINITI QX56 against other cars which they drove/owned. Each ranking was based on 9 categories. Here is the summary of top rankings. Have you driven a 2012 INFINITI QX56? Trying to enter a review on dealership I purchased vehicle from and site will not let me? 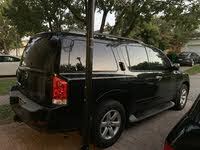 Looking at buying a car a Infiniti QX56 with 161k miles bad idea? 2012 Infiniti QX56. When the car is running the doors lock automatically. Is there a way to set the drivers door to unlock automatically when I pull the handle while the car is still running?